Max and I love a restaurant our in Centerville, VA called Copper Canyon. We found out about it in Orlando, FL while on vacation a few years ago and were SO excited when we were told they had a location in Virginia. 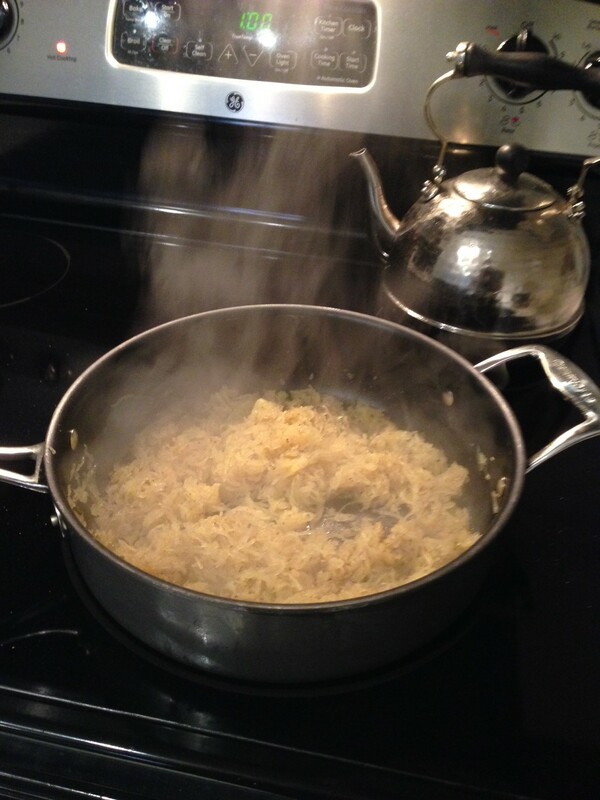 It was a Copper Canyon that I first had a taste of spaghetti squash – the rest is history. 1) Buy the right kind of squash. Int he fall it feels like the veggie section of our grocery story is filled with different types of squash, pumpkins, and gourds (seriously what is a gourd?) so this can be overwhelming and tricky. It’s literally called spaghetti squash so it’s hard to mess up. 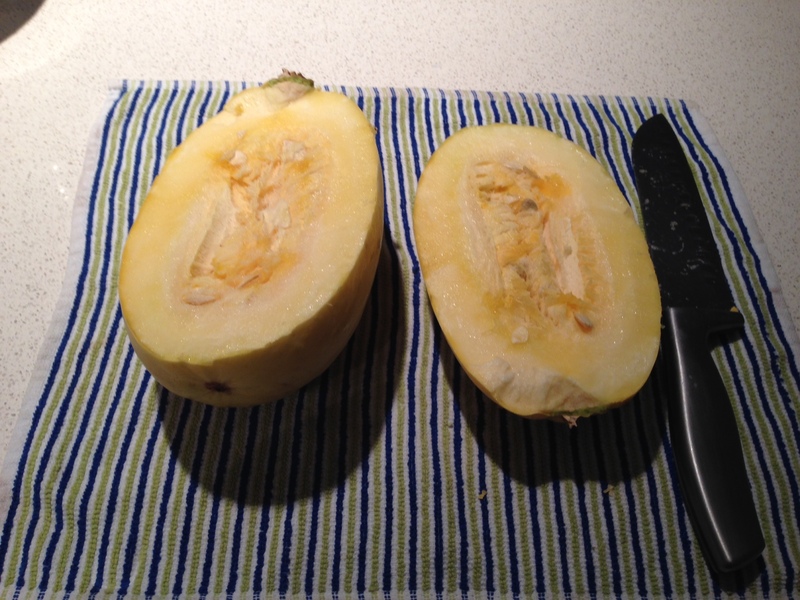 2) Cut the squash in half without cutting your hand off. It;s tough , just like cutting into a pumpkin to carve it, so be careful. Some people suggest microwaving your squash before cutting into it to loosen it up if you are worried. 3) Scrape out the seeds and “guts” of the squash and place the squash in a casserole dish. 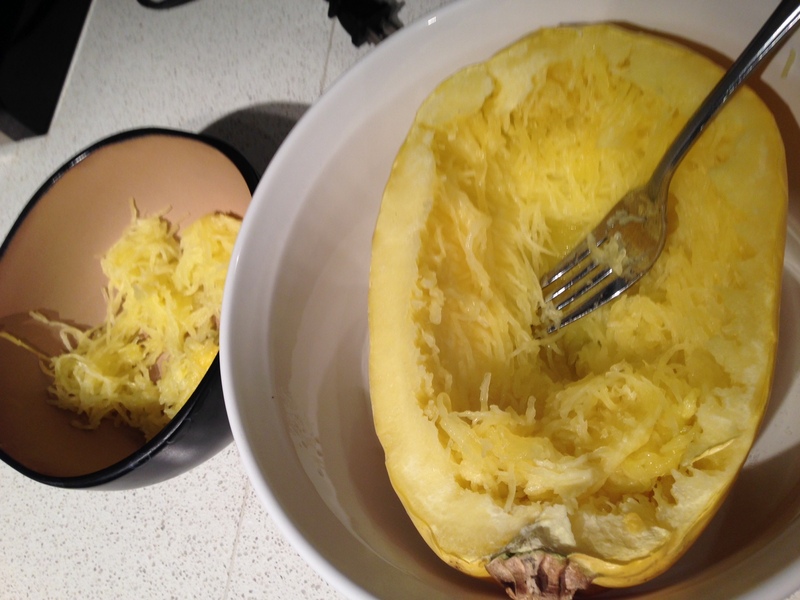 Pour 2 tablespoons of water into the hollowed out middle of the squash and place it in the microwave for 10 minutes. Once finished (and tender) take the dish out and let the squash sit for at least 10 minutes. *some people bake their squash (30+ minutes) some people boil theirs (20+ minutes) but I microwave mine (10 mins!). You just can’t beat it. 4) Once cool, take a fork and scrape it lengthwise along the squash. It will start falling apart and just toss it into a bowl. This is where you get creative! You can add tomato sauce, pesto, simple salt and pepper. Whatever you like! I added a little oil into the pan and threw some olive oil and spices into the squash and let it cook up some more. SO GOOD and guilt free! 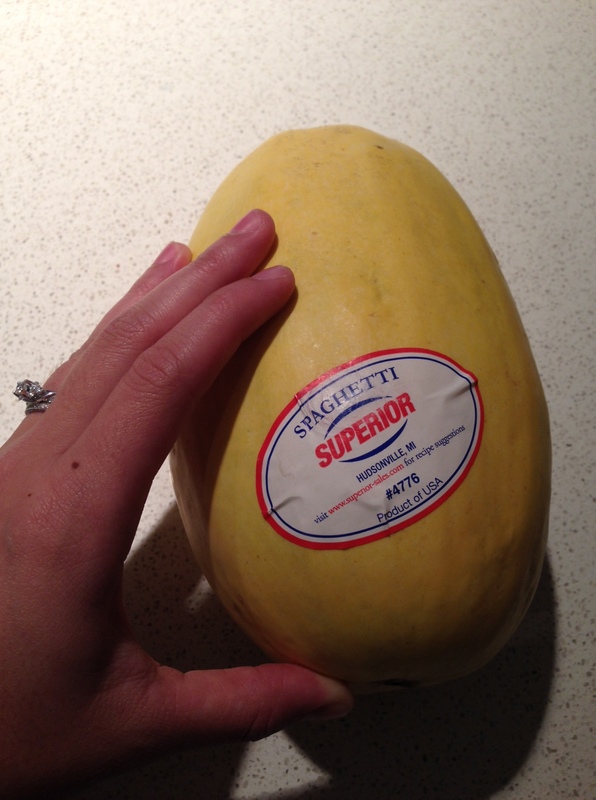 How do you like your spaghetti squash? Have any low-carb pasta options? Share them! I love it just as the pasta substitute with a homemade sauce. Super Delicious!! Me too! What is your go-to homemade sauce? I have never tried this, but I am going to have to! It’s great!! Let me know how you cook yours! I ended up baking mine. I just put the two tablespoons of water in them and cooked them for 30 minutes and it worked great. I threw in a couple potatoes to cook with them so it worked out great for me time wise. It was delicious! I had it with veggie mashed potatoes and marinara sauce. That sounds like a great combo! One day I want to make a meat sauce and have it like real spaghetti (aka my weakness!). It looks so good! I would love to try!